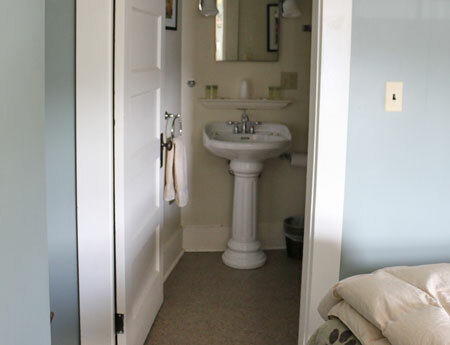 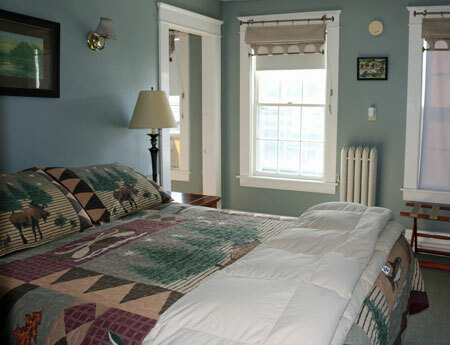 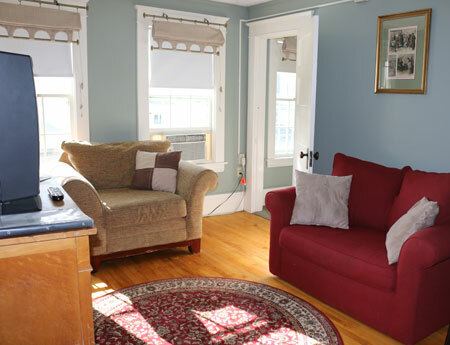 Located at the top of the landing on the second floor of the main inn this soft green colored room is an Inn Suite with a private queen size bedroom and a small bathroom that has a shower/tub combination. 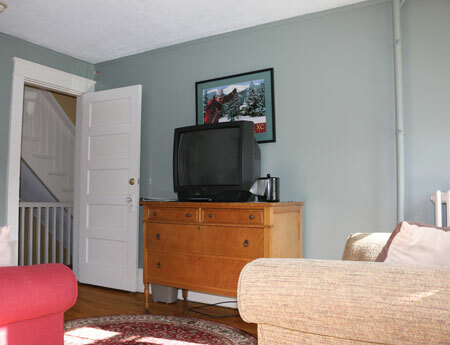 A cozy hardwood-floored sitting room attached to the bedroom has a TV. 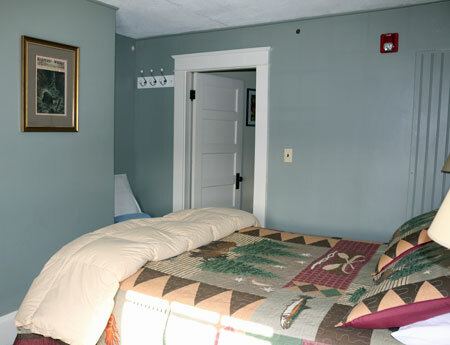 The room has a western exposure looking out over the Main Street of Jackson Village and the park.